Following his well-received debut WVS single ‘Mission’, Erik Sanders returns with his latest offering that is equally on track to push the up-and-comer ahead of the pack in the Australian urban scene. Instantly recognisable with an upbeat energy not heard in his previous release, Erik Sanders keeps it organic in ‘Purple Panther’ with his fast-paced flows. Once again teaming up with producer James Angus, ‘Purple Panther’ is further proof that they are a dynamic duo together in the studio. 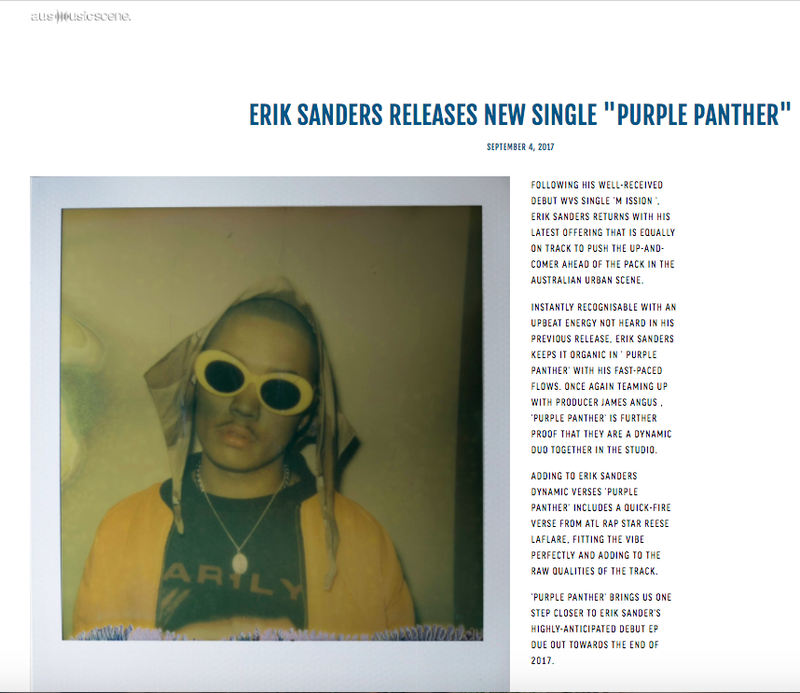 Adding to Erik Sanders dynamic verses ‘Purple Panther’ includes a quick-fire verse from ATL rap star Reese LaFlare, fitting the vibe perfectly and adding to the raw qualities of the track. 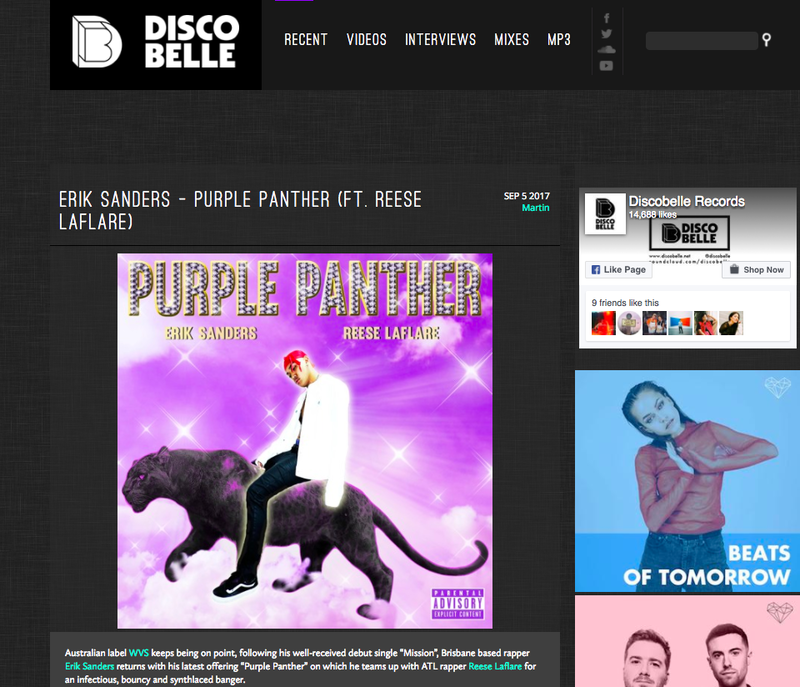 ‘Purple Panther’ brings us one step closer to Erik Sander’s highly-anticipated debut EP due out towards the end of 2017.